Syphilis is caused by the spirochaete Treponema pallidum and is usually acquired by sexual contact, although the disease may be transmitted by transfusion of infected blood. Intrauterine infection also occurs. The infection is a chronic condition that typically progresses through distinct primary, secondary, tertiary, and quaternary stages of infection. These stages produce diverse clinical symptoms, typically producing initial sores known as chancres then syphilitic rash followed by long periods of dormancy. Untreated infection may eventually result in cardiovascular problems and neurosyphilis. The organism cannot be routinely cultured in artificial media, and diagnosis of the infection usually depends on the demonstration of antibodies in the blood, which appear soon after initial infection. 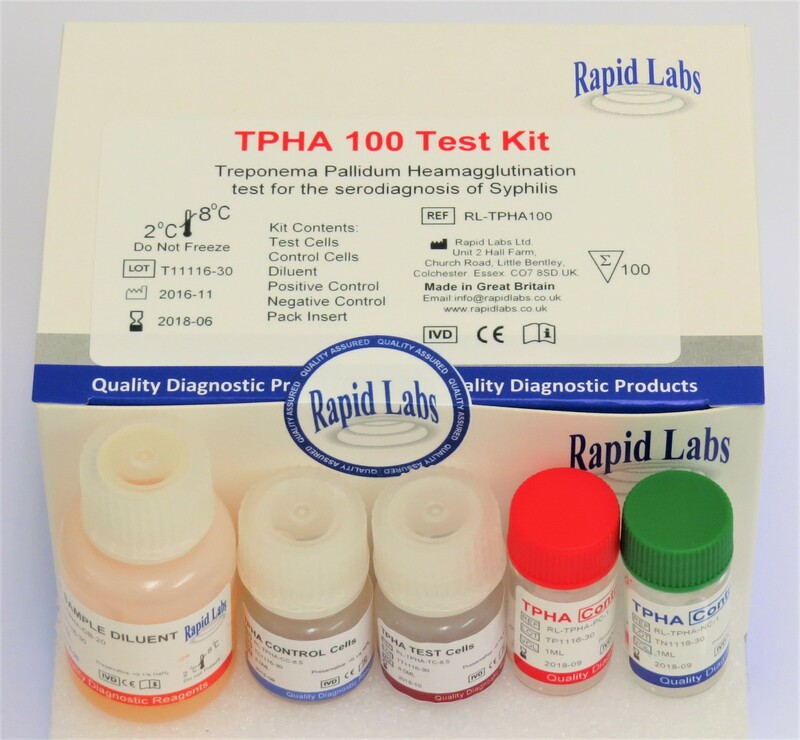 Rapid Labs offer a choice of highly reliable and effective screening and confirmatory tests for the presence of Syphilis.